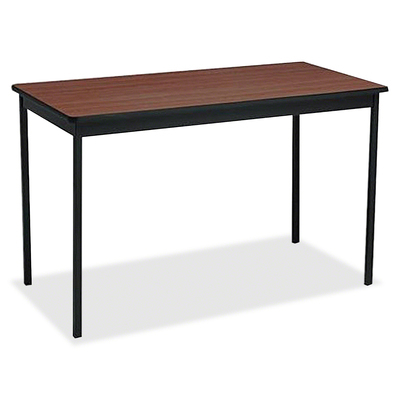 Create The Space You Need In The Office Or At Home For A Fax Machine, Small Copier Or Even The Coffeemaker With This Utility Table. Durable, 18-Gauge Steel Legs Provide Sturdy Support. Easy-To-Assemble Design Can Be Put Together In Just Minutes.. Create The Space You Need In The Office Or At Home For A Fax Machine, Small Copier Or Even The Coffeemaker With This Utility Table. Durable, 18-Gauge Steel Legs Provide Sturdy Support. Easy-To-Assemble Design Can Be Put Together In Just Minutes.